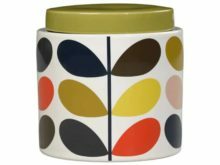 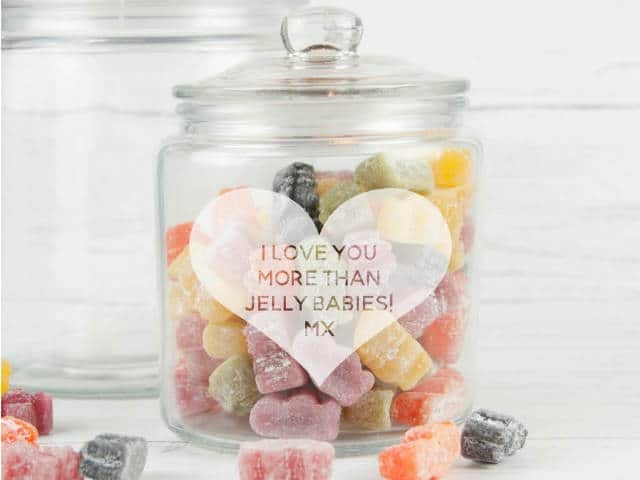 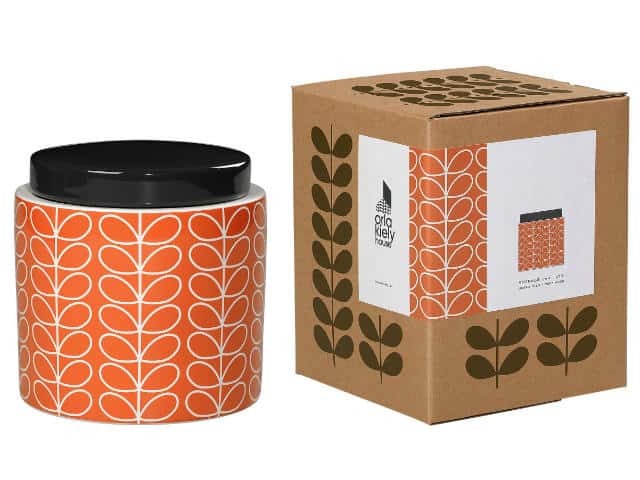 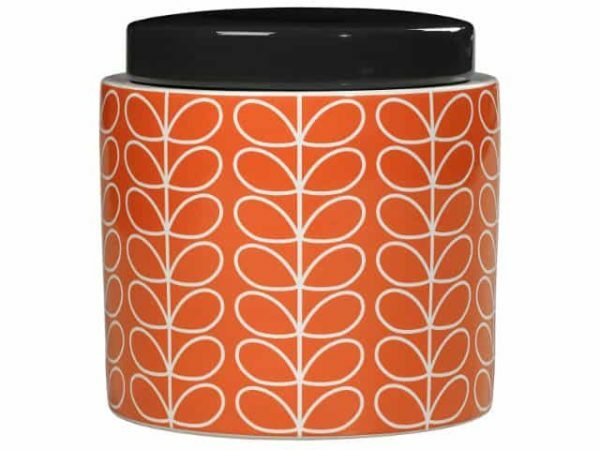 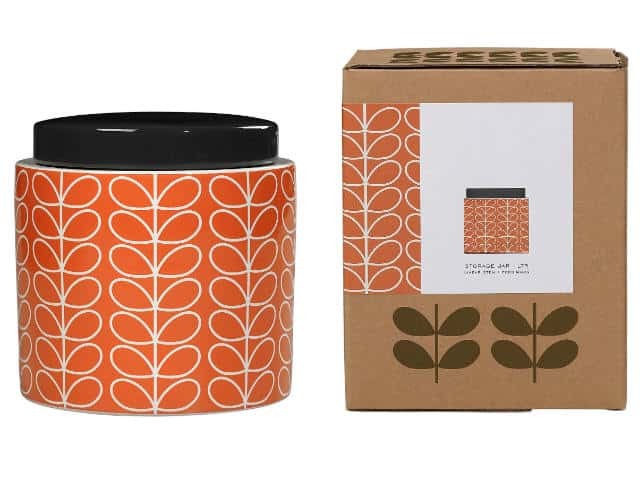 Orla Kiely Persimmon Linear Stem Storage Jar. 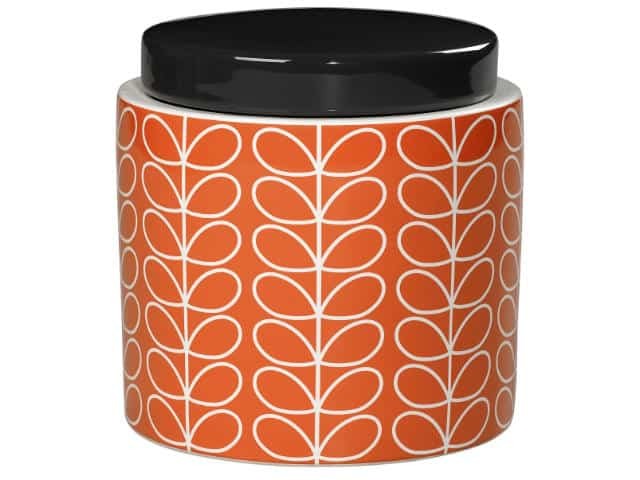 Brightly coloured ceramic storage jar in classic Linear Stem print in Persimmon. 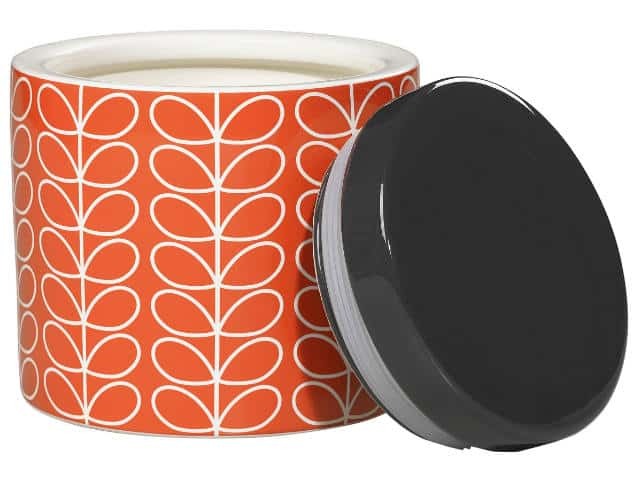 Complete with solid colour ceramic lid.